Fall is when colleges and universities across the nation welcome a new wave of first-year students to their campuses. It's also the time when several organizations, including U.S. News and World Report, issue their latest college rankings. Accompanying the U.S. News rankings was an article referencing parental concern that a liberal arts education wouldn't prepare their children for a good job or wasn't practical. That claim, given ample evidence to the contrary, strikes me as one of the biggest contradictions in higher education today. In this rapidly changing world, a liberal arts education is more valuable than ever. Ninety-three percent of employers in a recent survey agreed that job candidates' ability to think critically, communicate clearly, and solve complex problems were skills that were more important than their undergraduate major. These are the exact skills liberal arts colleges teach students. As I welcomed the first-year class to Gettysburg College this year, I was struck by the fact that most of them were born in 1999, the turn of the millennium. The world these students have grown up in is dramatically different from the one experienced by the generation before them. 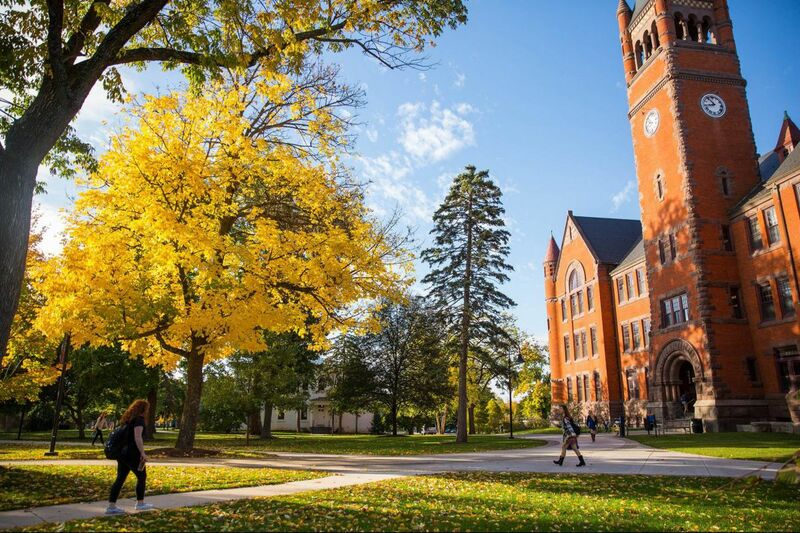 The annual Beloit College mind-set list reminds us that "they are the first generation for whom a phone has been primarily a video game, direction finder, electronic telegraph, and research library." For these students, "Amazon has always invited customers to follow the arrow from A to Z; globalization has always been both a powerful fact of life and a source of incessant protest; and having another child has always been a way to secure matching tissue to heal an older sibling." The pace of change in societal values, politics, technology, our global economy, and the planet itself has accelerated. What will the next 18 years bring? How about the next 40 or 50, which will encompass the working adult lives of this new generation of students? As educators, we have a responsibility to prepare our students not just for the present, but also for the future — specifically, to provide them with the skills and habits of mind necessary to succeed in a fast-changing world. That means getting them ready for careers that we cannot yet imagine. We market our institutions by pointing to the quantity and quality of jobs our students earn upon graduation. At Gettysburg, for example, 98 percent of our students are employed or attending graduate/professional school within a year after graduation. Although these early outcomes are important, they speak only to the immediate future. What about the next job, or the one after that? Will today's graduates be ready for the jobs they land 20 years from now? Although it's clear that certain careers require specific skill sets, a propensity for lifelong learning benefits those in all careers and will prepare graduates for the inevitable career changes ahead of them. Leaders in all fields understand that young people with agile minds and a propensity for lifelong learning are invaluable to an organization. They are looking for employees who can anticipate and respond to rapid change to benefit their enterprises. More organizations also value the kind of civic engagement and social responsibility that liberal arts graduates bring to the job. In short, today's leaders in business, government, professional, and nonprofit spheres understand — as I hope the general public soon will — that there is no better preparation for lifelong learning than that of a rigorous education in the liberal arts and sciences.